RESPECT. 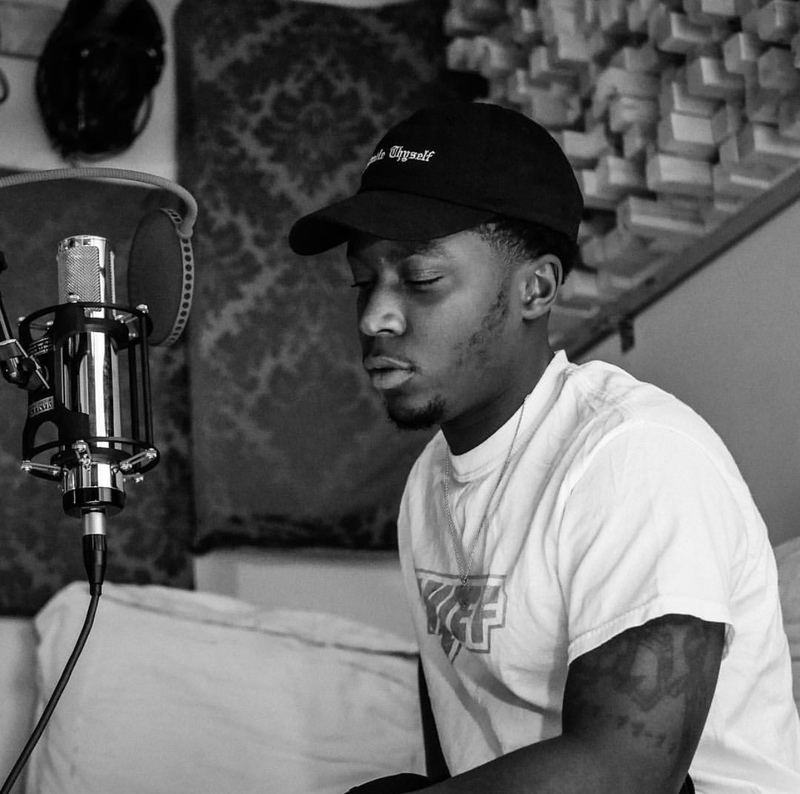 Interview: Tim Gent Talks About Project 'Life Away From Home,' the Single "Vibin,'" and More | RESPECT. Tim Gent has been buzzing with his latest singles “Mosaic,” “Vibin'” (which features Bryant Taylorr) and the Kyro Swanks-assisted “333.” He following these impressive drops with the recently-released project, Life Away From Home. The Clarksville native is known for his flow and wooing his audience with his lyrical vibes; he recently showcased this incredible talent at an event in Nashville. We caught up with the “Fly Away” artist and talked about what his album name means, his brand Chief, and how “Vibin'” was made. RESPECT. : In regards to your recent visual for “Mosaic,” what was your vision while making that? We really just wanted it to look cool (laughs). The mission was to get some mob scenes and try to capture the same energy as the track. RESPECT. : How did you get the album name? What does it mean to you? I actually came up with the name back in 2012. Originally, the idea for the project was to write as if I was already away from home due to following my dreams. I worked on the tape, but it didn’t come together [at the time]. I put the idea to rest until I formed this tape with AB. After we listened back, the name was kind of obvious for me at that point. RESPECT. : What can your fans expect from this album? It’s not quite an album. It’s the tape that feels like an album. They can expect to have a maturation of my sound and craft. It was a real collaborative effort, so, unlike my last projects, you’ll hear more voices and more instrumentation. RESPECT. : As far as the singles you released (including “Vibin'” and “333”), what would you say is your favorite song created on this project? If I had to pick, it would be “Pain Pills.” The process to make it was very cool. I enjoy how it came together. The song included six people that I have built dope relationships with over the past year. It is cool to see how it unfolded. It was the first track I got from AB for the tape. The hook was already done by Bammie Davis Jr., and I wrote the verses quickly. The creative process for this tape was dope. It was a group effort. We had a few sessions with six or seven people in the studio bouncing ideas for the skits. By making “333,” I knew I had to get Kyro on it. We recorded it together and it took 10 times to do a hook until I was comfortable with it. As for “Vibin,’” when I got the beat from Syk Sense, I knew Bryant Taylorr should be on it. We had agreed he would get an interlude on the tape. When I sent the song to him, he sent me the hook back. It is funny because I didn’t like it at first listen from my phone speaker. But when I heard it in the car, I immediately got to finish this. We have two or three different versions we wrote together but the final was the one. RESPECT. : With your brand, Chief, tell us a little bit about how did that come about? What does the term “chief” mean to you? My brother T Clark actually coined that acronym. We were already on The Tomahawk Crew (THC), on a collective status, that later turned to Chief, Catch Height In Every Fall. From that T Clark created the acronym, and it was a lifestyle. We all have our down moments, but learning how to find that silver lining and pull yourself up really teaches you something about yourself. RESPECT. : How did you get into the music career? Who were you inspired by or listened to while growing up to get your inspiration? My senior year in high school, the homies, T Clark and Tzee, were dropping music videos and mixtapes, and I had already had a thing for writing. Clark dropped a tape, Made For This, then I started writing for real. Around that same time, J. Cole’s Friday Night Lights and Kendrick’s Section .80 dropped that has given me inspiration. I made my first tape shortly after that, and it’s been a constant thing ever since. I was a big fan of Kanye West and Lil’ Wayne growing up, as well as R&B and Soul. RESPECT. : Do you think that, in the next five years, hip-hop will be alive and much bigger in Nashville, a place known by many as a Country music hub? I feel like the market for urban music is growing, seeing that hip-hop is the number one genre out right now. Based off that, I think it has to be much bigger. RESPECT. : I see Bryant Taylorr is featured on many of the songs, will there be a duo project on the way? Or in the works? Yeah, that’s the homie man. We have a lot of tracks we’ve done thus far. We’ve talked about it, but I’m not thinking anytime soon. To have an admiration for someone or something. RESPECT. : Will you be going on tour? Yes, everything is getting squared away right now.